Rung to wish Chris Marshall well for his forthcoming hip replacement. First submitted Thursday, 7 February 2019 at 21:55:31 by Giles R Morley. 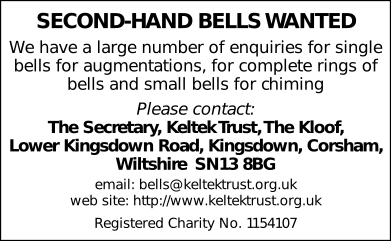 Sent for publication in The Ringing World on Thursday, 7 February 2019 at 21:55:40, and printed in one of issues 5627 or 5628.